Showing results for tags 'Unsung'. B52 Project Delta - A Milsim Ops Unit loosely based around the work of the 5th Special Forces Group Long-Range Reconnaissance unit, a precursor to MACV-SOG. We are run ops each week on Sundays, playing with Unsung, TFAR and AIS medical system. Missions will be designed to make use of a modular force - some air and armour supporting the majority on long range recon and destruction operations. Besides our weekly operations, we have a dedicated team server for members to play on and several public servers running Evolution Co-Op Based Missions. Over the course of the next few months, we plan to add variety to these public servers and add new mission types to the mission rotation. Project Delta is seeking able-bodied men of all ages to rise to the challenge, and learn the ways of the jungle from the veterans in this unit who have been developing Unsung mod and running weekly ops for more than 4 years - in the dark, the rain, the heat and against massively superior enemy numbers. Project Delta will teach you combat skills, teamwork, weapon and vehicle proficiency and above-all how to survive in the hostile terrain of South-East Asia circa 1965-70. Requirements: It doesn't matter your level of skill, as we can train you, but we expect you to be a reasonable team player. Military veterans are especially welcome. Patience and an aptitude for team tactics are vital. 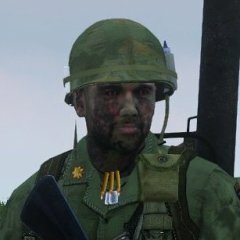 Arma 3, microphone and Teamspeak Mods: Unsung Mod - https://steamcommunity.com/workshop/filedetails/?id=943001311 Prei Khmaoch Luong - https://steamcommunity.com/workshop/filedetails/?id=950966660 CBA - https://steamcommunity.com/workshop/filedetails/?id=450814997 Enhanced Movement - https://steamcommunity.com/sharedfiles/filedetails/?id=333310405 DUI - Radar - https://steamcommunity.com/sharedfiles/filedetails/?id=1638341685 TFAR - https://steamcommunity.com/sharedfiles/filedetails/?id=620019431 Philosophy: You get to play Arma 3 with the best jungle fighters in the game Play style is informal, though with a lot of ex-military, and mature modders, we have a solid team of operators - we horse around, but not when under fire, or on a scheduled unit op. Teamwork is key. If you can't carry your weight, or work with others, especially being led, then Delta is not for you! You don't need to be an expert, but you do need to be a good human being. We have a teaching (but not preaching) mentality, with literally years researching and playing Vietnam combat ops Intense combat ops, great mission design and variations in roles Be part of the only unit who beta tests Unsung and feeds into its design. You can be in another gaming clan, and still join us, this is a milsim unit set up to support the Unsung mod development, to beta test it, and to play ops together. Operations: We run unit ops on Sundays, and 6 public 24/7 servers provided by Gaming Deluxe, with an additional beta test server provided by mod-team member TeTeT. Our recent Operation was month 10 of our Vietnam Campaign playing the roles of USMC in 1968. We are currently playing through a campaign based on historical events of the Vietnam war. This is played by a week by week basis, each Op is normally around 4 hours in length. Recent footage of our last event: From the perspective from Cherry Squad: From the perspective of Eagle Flight Further Information: Our teamspeak: teamspeak.armanam.eu Discord group: https://discord.gg/FhJDb7J Arma3 Unit Profile: https://units.arma3.com/unit/unsung-project-delta Find out about the real Project Delta: On May 15 1964 Project Leaping Lena was established by US Army Special Forces Vietnam for countrywide special reconnaissance operations. In June 1965 Leaping Lena was re-designated Project Delta, commanded by a B team (B-52) from 5th Special Forces Group Airborne (SFGA). Delta worked very closely with the Luc Luong Dac Biet (LLDB), ARVN Special Forces units trained by USSF, and the Civilian Irregular Defence Force (CIDG), civilians hired by the US State Department to work for the US Army (often Nung Chinese, Montagnards or Cambodians, as they were ineligible for recruitment to ARVN on racial grounds). Over it's lifetime Delta grew from six 10-man recon/hunter-killer teams (4 USSF and 6 LLDB) to: Strike-Recondo platoon of 12 6-man teams (3 USSF and 3 LLDB) Roadrunner platoon (dressed as VC) of 12 5-man teams (CIDG) Supported by 4 Companies from ARVN 81st Airborne Ranger Battalion. Delta worked alongside other USSF units and CIDG Mike Forces (Mobile Guerilla Force, Mobile Strike Force and Camp Security Forces) to detect, disrupt and destroy North Vietnamese and People's Liberation Front (Viet-Cong) supply routes, base camps and operations in the Republic of Vietnam, across all 4 Corps Tactical Zones (CTZ's). unsung [WIP] Scenario for Unsung - Copyrighted music How ? Hi all, I'm making a scenario for Unsung mod on Prei map and have included three musics from Vietnam era like "Fortunate Son" and "boonie Rats". I tried to get the authorization for publication but it's not about hundred $ but thousand $$$ and very long delay. Now my question: -If I publish on steam without the music, would a download link with the "music pack" available "separately" be possible ? The ingress run on AI heli was recorded, the base look great, the music add a great touch and copyright free songs aren't as great as those I mentioned (or I didn't found great one) Much thanks for any advice. I need help fixing (7, currently) fairly easy issues with my mission I'm working on. Workflow is mostly using my private Gitlab (Issues, ToDos) and Dash as a preferred (but not mandatory, you can use whatever IDE you want) editor. It requires Unsung mod, which can be found here: https://steamcommunity.com/sharedfiles/filedetails/?id=943001311 Mission already contains of scripts (both community i.e. EOS, ATM Airdrop, CHVD and couple of my own ones) and I think the completion drifts somewhere around 70%, although it's already playable and we're having so much fun playing it. There are plans to publish the mission on Steam's workshop and port it over to other maps, since currently it's created on Rung Sat island. What I need from you: * Basic ability to work under source control (git) * Ability to write SQF scripts * Discord installed on your PC for communication What I can offer: * Private gitlab server for code/version collaboration * Admin rights for testing the mission on my private dedicated server * Fame and glory in mission's credits ;) * Testing and playing the actual mission Best way to get in touch with me is to add me on Discord: Darjusz#3775 Looking forward for collaboration. OPERATION BOLD SWEEP BY 1-506Ranger and JoeBeast STEAM LINK: OPERATION BOLD SWEEP Do you love the Unsung Mod? Then you're going to love this mission on Prei Khmaoch Luong! This mission was inspired by this video: The Stoner Machinegun: A Navy Seal Remembers I've task organized a Seal Team based on LDCR Walsh's descriptions and loosely based the missions off of the operations he describes. Notes for SP/MP: READ THE MAP BRIEFING ADMIN You must play in the Team Leader position. The mission uses AIS Revive. You will have one non-playable AI unit medic that you can order to revive other playable slot AI team members, or Players. All of the playable slot AI will try to revive YOU if you are incapacitated, but it is not a 100% guarantee they will get to you if in contact. The playable slot AI will respawn in place after the revive period of AIS has run out. DO NOT LEAVE any playable slot AI teammates behind as ALL must be present for the final extract...if you make it that far. Also, only the Team Leader and RTO can call for resupply via 0-0 Bravo. HALO to re-enter the battle if needed is via ATM-Airdrop, pick your drop zone carefully, or you will get busted up in the trees and be right back at the respawn having to listen to CSM Grissom - again! To Play in SP: Multiplayer > Server Browser > Host Server > Host=LAN > HOST SERVER || Select Map (Prei Khmaoch Luong) and Mission (OFG_SP_BOLD_SWEEP > Start Known Issue Workaround Arma being Arma, playable slot AI may get stuck in buildings on this map. The Team Leader slot can use Radio 0-0-6 (Golf) to turn ON AI Fast Regroup if AI are more than 50 meters away and stuck. Once regrouped make sure to use Radio 0-0-7 (Foxtrot) turn OFF AI Fast Regroup. SITUATION Enemy Forces: Heavy VC and NVA presence in the AO as they guard the main supply route into the South along the Cambodian border. Expect the enemy to conduct robust patrol operations, man fixed sites, run local intelligence gathering and possible corrdinated attacks on Friendly units. Friendly Forces: USMC and other Seal units are currently operating in the AO. MISSION Sandman, your Seal Team will conduct various special operations in order to interdict all VC and NVA activities in the AO. Operations: *Movement to Contact: React to Near Ambush React to Far Ambush Prepare Hasty Ambush Break Contact React to Indirect Fire *Conduct Raid *Collect Intelligence *Destroy Cache Site *Conduct Link Up operation *Conduct River Boat operation *Conduct Overwatch and Support by Fire *Conduct Demolition operation *Conduct Deliberate Ambush *Perform Resupply *Hasty Extraction Recommended Client Side Mods: Enhanced Soundscape https://steamcommunity.com/sharedfiles/filedetails/?id=825179978 Enhanced Movement https://steamcommunity.com/sharedfiles/filedetails/?id=333310405 No Weapon Sway https://steamcommunity.com/sharedfiles/filedetails/?id=570118882 Scripts: ArmaPhronk - CRS and Earplugs Neko-Arrow - Air Drop, Mortars and Supply Pokertour - ATM Airdrop Psycho - AIS Revive Quicksilver - QS icons Kronzy - UPS Voice Actors from OS Tactical: Scout.ks - Striker Smith - CSM Grisson Papernut - Viking Like - Subscribe on Steam! http://www.armaholic.com/page.php?id=33610 http://steamcommunity.com/sharedfiles/filedetails/?id=1234500643 1-4 pilots and co-pilots can join and get randomized helicopter transport missions. Pick one of five available transport helicopters at Khe Sanh Combat Base and complete five missions. Players can either choose to man a single helicopter or fly a helicopter each or use one of the combat helicopters or planes at the main Khe Sanh Combat Base runway. For example, one player may fly a transport chopper, while another player can fly a gunship for fire support in case of a hot LZ. There is however only light enemy opposition present in the area currently. There are three places setup to deliver fuel, repairs and new crew members. The re-fueling occurs automatically when landing or hovering besides the fuel barrels close to the start area. Repairs and healthy crew members are acquired by landing at the repair/medics marker respectively, staying in the vehicle and using the radio 0-0-1 for repair and 0-0-2 for healthy new crew members. The player himself is not healed though. There's a simple respawn system in the mission, a player will be respawned at the starting area and is able to get new missions from the commander. A destroyed transport helicopter is respawned at the starting area as well. A crash landed damaged but not destroyed helicopter has to be destroyed by other means: Use an available gunship from the main base for this purpose. The mission makes use of a headless client to spawn most AI units there. If possible please use one, as it significantly reduces stress on the server. However the mission will also run with low fps on a hosted system. 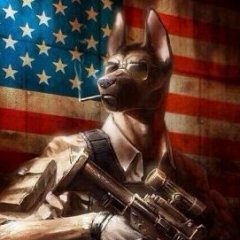 Best experience will be had on a dedicated server with a headless client (HC), see https://community.bistudio.com/wiki/Arma_3_Headless_Client for setting up a HC. As this is about my first published multiplayer mission, please cut some slack for bugs and omissions. KNOWN ISSUES Sometimes the AI at hill 950 only reluctantly boards the helicopter. Often it is good enough to lift off and land the helicopter a few meter from the landing pad. Most times stuck straggler AI will board then. The AI does not like to walk on the landing pad, it will walk through it. Currently the mission will be nearly unplayable during the night. 7th Cav Air Cav Vietnam with UNSUNG! I am trying to port BTC Hearts and Minds by giallustio to The Unsung Vietnam War Mod Sea Lam Dong vetnam map. the maps work as a H & M map but when i change the units from the old BTC H & M to the Unsung mod units in the mission sqf nothing works. I am missing a steep some place or you just cant port it over i don't know and was wondering if someone has tried to port H & M to the Unsung mod " i have tried to ask giallustio but have gut no response" . Hello all! Here is my official release of the KillahPotatoe Liberation game mode with the UNSUNG Echo Release that is now available on steam. Please give it a try and let me know what you guys think! http://steamcommunity.com/sharedfiles/filedetails/?id=1193946142 I have other Liberation mods up on steam as well so take a look at them as well. Let me know if there are any issues or glitches that need to be addressed. *ADVISED: with the UNSUNG Echo release there is a little glitch going on with my previous UNSUNG liberation on Cao Bong and is only playable with the UNSUNG Delta release. I will be working to update that one to reflect the new Echo update soon* I will also be posting some of my own regular missions to the workshop over the next few weeks so keep on the lookout for those as well. Once again a big shout out to both the UNSUNG and KillahPotatoe Mod teams for providing amazing content for the community and I look forward to working with them and their updates. REQUIRES THE UNSUNG VIETNAM WAR MOD: http://www.armanam.eu/ The year is 1968, and due to a critical mission planning error, courtesy of your CO, your squad's Helicopter has been shot down deep above the hostile jungles of the Prei Khmaoch Luong province, Vietnam. Download: Steam Workshop Mission Notes Custom Sound and Music! Change AI Skill in Mission Parameters if they feel too wallhacky through the jungle. Respawn (and basic revive) is available, after mission start you can respawn at the Helicopter crash site. After you leave the crash site you may also respawn at your squad, at your own discretion. Ammunition is limited, and you will respawn with the same gear you had when you died. Loot dead enemies, and discover supplies by wandering close to their locations. Across the first river, two checkpoints will be available for capturing. One Northern, and one Southern checkpoint. Both may be captured, but their position will only be revealed if you are nearby. This mission was designed for 3 player Co-op. If there is a demand for it in the Steam Workshop comments, I will increase the player slots :) (I'm not super active on this forum) This mission is estimated to take up to 1 hour to complete, good luck, and stay alert. After the helicopter crash you have about 1 hour until the sun sets and it gets too dark to see anything. You are invulnerable while in the starting area, before you start the mission you should NOT force respawn or you will not be able to respawn, unless you restart the mission. Third Person View is restricted in this mission for your immersive pleasure. If you have a problem with this then please teach me how to add a toggle-able mission parameter instead of whining :) Credits Uses Sil Carmikas' Random Weather script Uses kronzky's Urban Patrol Script Music courtesy of Call of Duty: Black Ops (admit the soundtrack is pretty damn good) This is my first publicly released actual mission - on Bludclot's amazing East Asian-like terrain. Post in the Steam Workshop comments on what you thought of it, any improvements, and any suggestions for future missions I could create if I'm not already making one. If you find any bugs, please let me know by posting about it in the comments on the Steam Workshop! Please write in detail how/where you found it, and how you caused the bug to happen. Please do not add me on Steam friends. I don't add random people, even if you've played my mission. Sorry. 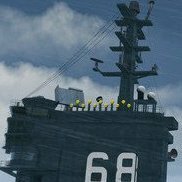 Hi Guys, I'm new in Arma 3, and that's my problem is that I can't reach it the 'get in' waypoint (memory point or trigger point) on the (unsung) A-6 Intruder (and others). If I stand on a palette, or other smile object, then I visible the 'get in' plane trigger point. How can this problem be solved (without palette)? :) Thanks!